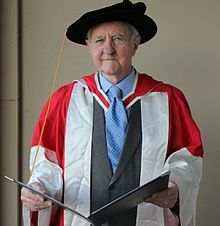 Peter Coleman AO an Australian writer and politician. A widely published journalist for over 60 years, he was editor of The Bulletin (1964–1967) and of Quadrant for 20 years, and published books on political, biographical and cultural subjects. While still working as an editor and journalist he had a short but distinguished political career as a Member of the New South Wales Legislative Assembly from 1968–1978 for the Liberal Party, serving both as a Minister in the State Cabinet and in the final year as Leader of the New South Wales Opposition. From 1981–1987 he was the member for Wentworth in the Australian House of Representatives.